Of course it does. Vermouth transforms chilled gin into a Martini! Therefore it is indeed a magical liquid! But what type of Vermouth? Will just any do? Is there a difference? I’ve already written about the importance of keeping your chosen Vermouth chilled (Vermouth Storage?) and how much to add (How Dry Can You Go?). This article discusses the impact of different Vermouths. First of all lets get the sweet vs. dry Vermouth settled. The original “traditional” martini calls for dry Vermouth. All of my previous reviews and comments on Martinis have used dry Vermouth. If you use sweet Vermouth then you’re making a ‘Sweet Martini’. And there’s nothing wrong with that, if that’s your preference. So, does it really matter which dry Vermouth? I set up a little Martini taste test with a couple of popular and readily available Dry Vermouths: Martini & Rossi (15% ABV), Noilly Prat (18% ABV), and Dolin (17.5% ABV). The Martinis were prepared with New Amsterdam Gin. 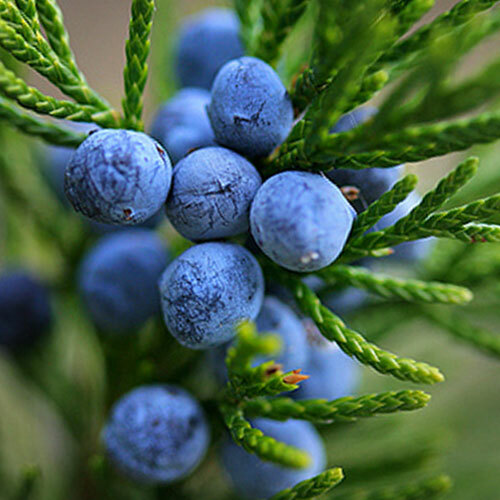 This was chosen because it is pretty neutral with mild juniper and slightly on the sweet side. The proportions were 2 1/2 oz. Gin and 1/2 oz. Vermouth. For simplicity and consistency there was no garnish. I then wrangled up a small team of amateur tasters to sample each of these Martinis. I emphasize “Amateur”. Initially some of the team were a bit dubious about the whole process, but eventually we all had a good time. The team, self dubbed the “The Taste Buds“, tried each Vermouth in identical chilled Martinis and then by a few also tried the Vermouths neat at room temperature. Each taster offered honest comments as they saw fit. Some were comparative, some were impressions, some tried to discern individual flavors or aromas. There isn’t any consistency, nor should there be. The bottom line is, by unanimous agreement, that the different Vermouths affected the taste of the Martinis. I asked each ‘Taste Bud’ to choose a first and second favorite Vermouth with 2 points awarded to a first choice and 1 point awarded to the second choice. The ‘winner’ was Dolin, Matini & Rossi came in 2nd, and NP finished last. For what it’s worth, I was the only who liked the Noilly Prat the best! I made no attempt to attribute these comments to the tasters. As a side comment, I personally sampled these Vermouths well chilled. The only difference I noted from the room temperature tastings were that the chilled samples were less pungent. As expected. First, each of the sample Vermouths were individually different. More so than I expected. While they are all fortified wines with definite grape flavor, the method of fortification varies as does the underlying wine base. Second, while the Vermouths were indeed different, everyone agreed that their impact on the overall taste of the Martini was minimal. 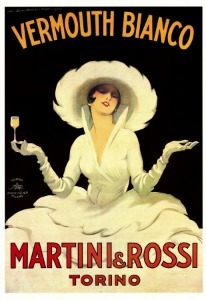 Discernible, yes, but the biggest impact to the taste of the Martini is, as it should be, the Gin! Third, while minimal, the review team were unanimous in the opinion that the choice of Vermouth does change the taste of the Martini. So, YES, your choice of Vermouth does matter. It is definitely worth exploring different Vermouths, especially if you have a favorite Gin. You might just find one that perfectly compliments your chosen Gin. I wrote The Perfect Martini Process, V1.0 back in November of 2015, though it didn’t have the “V1.0” notation back then. Since then, I’ve been thinking that it really needed an update to make it more readable, logically organized, and visually appealing. So I’ve created “V2.0”. The information and process hasn’t significantly changed, but has been tweaked – just a bit. So here we go! Since this blog has existed, I’ve advocated and supported the concept that your Perfect Martini is just that, yours. My Perfect Martini is mine. And the two may not be identical. What is important is that we find that which works for each of us. Having said that, in fairness, I thought it time to share what I believe works best for me. Interestingly over the course of the last years researching for this blog and writing about Martinis and Martini Preparation my taste has ‘evolved’. My preference has moved a bit drier and I’m garnishing with a twist much more often. Lime if available. Note that the title of this post is Martini Process, not recipe. The recipe is important, of course, and will be presented in it’s place. But the components of the recipe can be thrown together in many ways, each of which may result in a different tasting experience. The components in a chocolate cake can be assembled and cooked in many ways but I strongly suspect that the results of many of those permutations would be far from palatable. The process is critical. The entire Martini Making process starts with advanced preparation. And by ‘advance’ I mean several hours ahead of time. If you want that Martini immediately upon your arrival at home after a long day at the office, then this should be done in the morning before you leave. Or, better yet, the night before. Put your favorite bottle of Gin and your Martini stem in the freezer and the vermouth in the refrigerator, if it isn’t already. Vermouth should always be stored in the fridge. See Vermouth Storage? if you want to know more about that. IF you use a massive (heavy) shaker, that should go in the freezer too. If you’re making Martinis for a group and you have lots of stems with little freezer space, at least make room for them in the fridge. I always prepare the twist before the martini so that the martini doesn’t wait, and get warm, if the twist is crafted at the end of the process. No, the twist will not wilt or dry out in the 90 seconds or so that it takes you to make the Martini! It will be just fine waiting for its grand entry at the end of the process. This goes for olives too, if you prefer them; spear them before starting the martini. a lemon or lime twist. Making the Martini proper. Fill the shaker with about a cup of cold ice. (See Cold Ice Please! for comments and description of “Cold Ice”). Take the Vermouth and put that in the shaker with the cold ice. Swirl or shake the Vermouth and ice briefly and then drain the Vermouth. Keep the ice, of course. Next put your Gin into the shaker. Shake the shaker vigorously for about 10 seconds. 10 seconds is all you need as the liquids have already been chilled. Any more than 10 seconds and your just working your biceps, triceps, and delts. Does shaking to 3/4 time really help? I have no clue, but it sure makes the process more fun. Now, quickly remove the Martini stem from the freezer and strain the Martini from the shaker into the Stem. Take the twist and lightly run the rind around the edge of the stem, squeeze a bit of the oils into the liquid, and drop it gently into the Martini. That’s it, you’re done. Now on to the best part. Finally take the Martini out to the porch, sit comfortably, look at the sunset over the beach or the pool, and enjoy the Perfect Martini. This month, December 24th to be exact, completes the second full year of exciting Martini making and mayhem. Its been a great fun writing and I hope to continue through my third year. I want to take a moment and thank my faithful readers. Your comments and support have been very much appreciated and have helped keep me going on those occasions when I have been a bit less motivated to write. I really couldn’t have done as much without you. Looking back, I’d like to point out that my second year marked the first post written by a ‘guest’ author! That is much appreciated and I hope to get a few more next year, hopefully by another guest author, or two. Restaurant and Martini reviews are ALWAYS welcome here. Especially Martini Reviews! Going into the third year I plan on starting to review Gins. This seems like a logical extension to Restaurant Reviews and general Martini musings. Please forward any suggestions along this line and I’ll make a point of commenting on your suggestions. I would also like to take a moment to pat myself on the back …. the “Martini Quotes” page is, I believe, currently the best collection of Martini Quotes anywhere! But if I’ve missed one, please let me know. I also have a Martini Jokes page! But it appears to be a bit weak at this time. While I keep my eyes open to new, or at least uncollected, jokes your suggestions would be greatly welcomed. For those of you who also frequent the ‘twitterverse’, you can find more Martini mayhem, along with a myriad of other “finer things in life”, at @Shkn_Nt_Strrd. Comments there are always welcome also. I recently had an odd experience that quickly escalated into a new “Pet Peeve”! In case you missed it, I previously identified several “Pet Peeves”. If you want a laugh you can look back at my previous post: Martini Making Pet Peeves. If you want a teaser, one of my (minor) Martini Making Pet Peeves is not preparing the garnish first! But back to my story. I was at a local lounge on one of my travels and asked for a Martini while I sat comfortably watching some sporting event on the TV. The Martini itself was good, if slightly small. However the stem was excellently chilled from the bar refrigerator upon being served. Having finished my first Martini I was easily convinced to have another. The barkeep picked up my stem and I expected it to placed with the other dirty glassware. But no, the barkeep took it over to the prep station and proceeded to use it for my next Martini! I was instantly peeved. Not only that, she used the same garnish! What’s the point of placing your stems in a refrigerator and chilling them if you’re not going to use them? Maybe you saved a couple of cents in electricity by not using a new chilled stem and not having to wash this one? But the story goes on. I had seen this happen just once or twice in the past and it immediately cuts my bar tip drastically. But this time I was engrossed in the sports and didn’t want to leave the lounge. When the bar keep came by I asked for another Martini. She looked around a bit and spied my stem on the back drop. Clearly off the bar top! She picked it up and then proceeded to make my third Martin in the same stem. With the same garnish! Had I ever envisioned coming back to this place I would have said something to her or the manager. Instead, she got a trivial tip for her efforts. I do mean trivial! “The Cat” as locals call it, is a hidden gem in this quite bedroom community in North Orange County. It has been here hidden in the hills since 1979, but its root go back even further. It is part of the family run and operated El Cholo chain which was founded in 1923. But this is not your typical Mexican restaurant, or even your atypical one. The structure and interior are English Tudor style with lots of dark wood trim and beams, and a huge Kitchen Hearth in the middle of the restaurant, though it didn’t look like they used it very often. But there are also Southwest elements to the decor. The menu is typical Cal-continental with a few unusual items such as Red Deer. I stopped in the other day on my travels to try out their Martini. It was excellent. The stems are pre-chilled in a dedicated cooler which is always a pleasant sign for me. Their Martini was stirred, not shaken as is my preference but it was served quite cold. It was amply and promptly served by a very attentive barkeep. For selection The Cat gets a “B+”. Their selection includes the “Big Five” as I now call them: Bombay, Bombay Sapphire, Tanqueray, Tanqueray Ten, and Hendrick’s. Not necessarily because these are the best 5 gins, but because they are ubiquitous. Additionally The Cat stocks Oxley, Leopold, Hayman’s Old Tom, and Beefeater. I received an comment from a newer reader complimenting me on my page “Botanical Elements of Gin“. Then she asked if I knew of a resource for ingredients in specific gins. I don’t have such a resource but it got me thinking. Bombay Sapphire: Juniper Berries, Lemon Peel, Coriander, Angelica, Orris, Grains of Paradise, Cubeb Berries, Cassia Bark, Almonds, & Liquorice. Bombay Sapphire East adds Lemongrass & Black Pepper to the above list. How Dry Can You Go? Clearly a Martini can only be ‘so dry’, as once there is zero Vermouth in the drink, there can be no less and thus no drier. But the two quotes above provide an humorous implied ‘dryness’ level based upon how remotely the cocktail can be referenced to Vermouth, or its home country Italy. A man sits down at the bar in the RMS Queen Mary on its way from England to the US. He asks the bartender for a very dry Martini. The bartender responds, “Sir, we make the driest martini here on the Queen Mary”. The man looks a bit unsure and asks, “How do you know that you have the driest Martini?” The bartender replies, “Well half way through the voyage we will pass the SS United States. When we do that I go to the top deck with our bottle of Vermouth and the United States Bartender goes to the top of his deck with his bottle and we salute Italy”. It seems there will always be some debate about the driest of the dry. And that’s a great thing as it is always in good fun and provides us with a laugh or three. Of course I like my Martini with just a hint of Vermouth, what one bar keep referred to as “In-n-Out”*. A Martini without any Vermouth is really just chilled Gin in a martini stem. As I’ve commented before, “A martini stem does not a Martini make”. *In-n-Out Martini: Take a capful of Vermouth and pour it over your ice, swirl the Vermouth around the ice and then drain the Vermouth. After my recent post on Eggnog Martini (Egg Nog Martini??? Really?) in which I generally described my amusement, if not disdain, of various cocktails described as “Martinis”… or more typically, ‘somthing‘tini a person very close to me asked “OK, what makes a Martini a Martini”. To answer that I’ll ask, “What makes a chocolate chip cookie a chocolate chip cookie”? Bear with me here and all will be clear. There are a lot of ‘-tinis’ out there that are, or have been, popular, even trendy; Appletini, Chocotini, Cranberrytini, Peachtini, Watermellontini, Peppermintini, Bacontini, etc. These cocktails may indeed be delicious, fun, and frivolous. 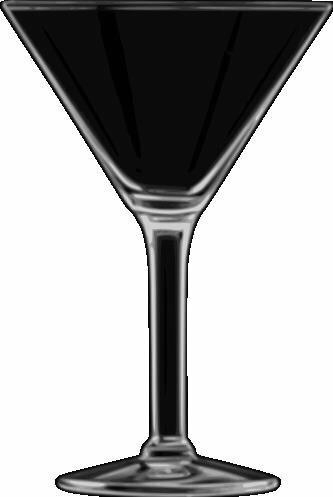 The common element in these cocktails is that they are served in a martini stem and usually made with vodka. But a martini stem does not a Martini make. Similarly a small baked bit of batter alone does not a Chocolate Chip Cookie make. A Martini has a definite recipe. It is composed of Gin, Vermouth, and a garnish. Vodka is an acceptable, if not traditional, substitute for Gin. The garnish may be an olive or twist. And it’s traditionally served in a martini stem, but that does not make it a Martini. A Chocolate Chip Cookie has a definite recipe with very few variations. It is a cookie made with Chocolate Chips. And maybe some walnuts and / or marshmallows. It is not a biscotti, or bagel, or muffin. It is a cookie. And it must have Chocolate Chips. A Martini does not have apple, chocolate, peach, peppermint, or Eggnog. A Chocolate Chip Cookie does not have raisins, lemon peel, oatmeal, cranberries, or peanuts. Oatmeal raisin cookies are delicious and a personal favorite. The look very similar to Chocolate Chip cookies, but they are not a “Oatmeal Raisin Chocolate Chip cookie”. And an Appletini maybe fun and tasty, but it is not a Martini. So what makes a Martini a Martini? Gin, Vermouth (proportions to personal taste) and a garnish; olive or twist. Preferably served chilled in a chilled martini stem.